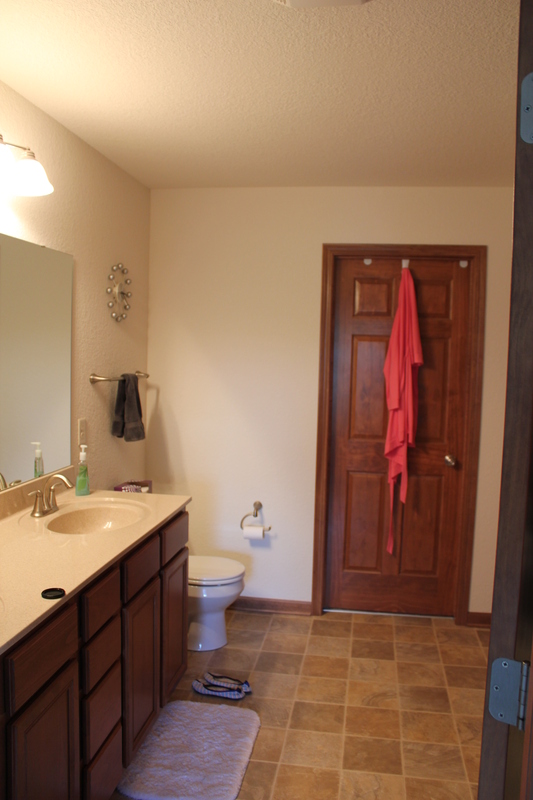 So, let’s recap on the Master Bathroom project. I outlined our goals and before pictures in this post, and in my last post I went through the details on how we re-organized the whole room. Now it’s time to show you some finished pictures! 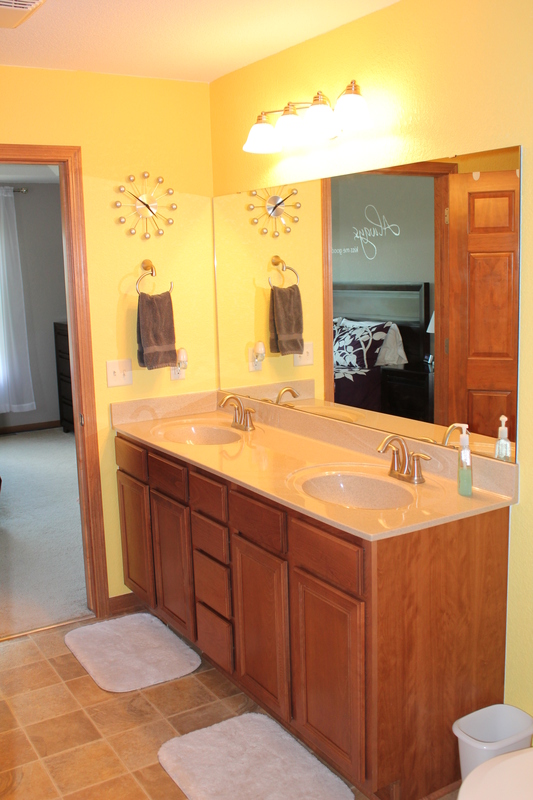 Paint: We used Benjamin Moore paint in “Dalila”. 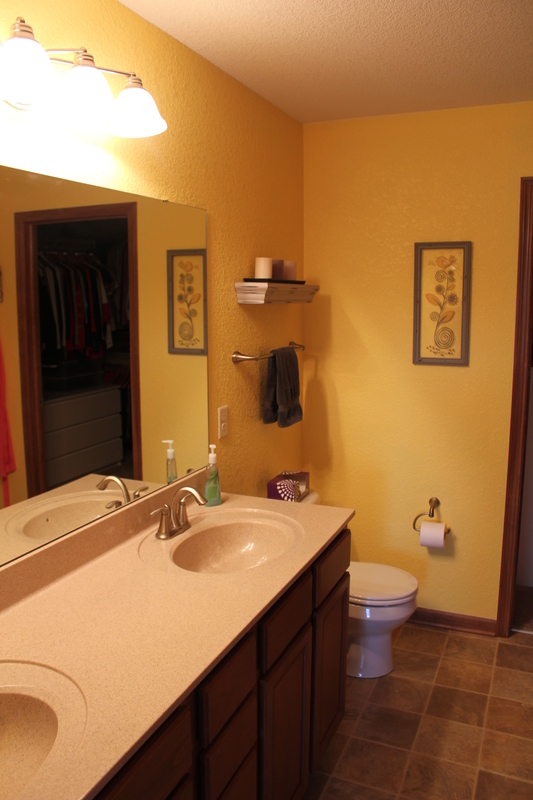 Our bedroom is yellow, grey, white and purple and we wanted our bathroom to coordinate with that. Therefore, we chose yellow paint (our bedroom is painted grey), and accented with grey and white décor. It is cheerful and bright, but not overwhelming in the sense that you want to cover your eyes in the morning because you can’t handle the light! We are both really happy with how the color turned out. 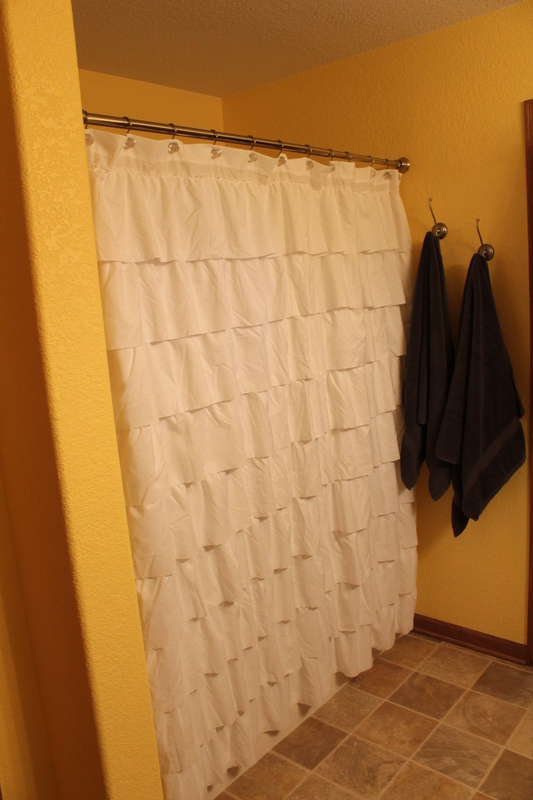 Shower: I didn’t want to deal with replacing our shower doors, so a solution to the problem was to add a shower curtain. I found this white Cynthia Rowley shower curtain at TJ Maxx for $20.00. The shower curtain hooks are from Target. 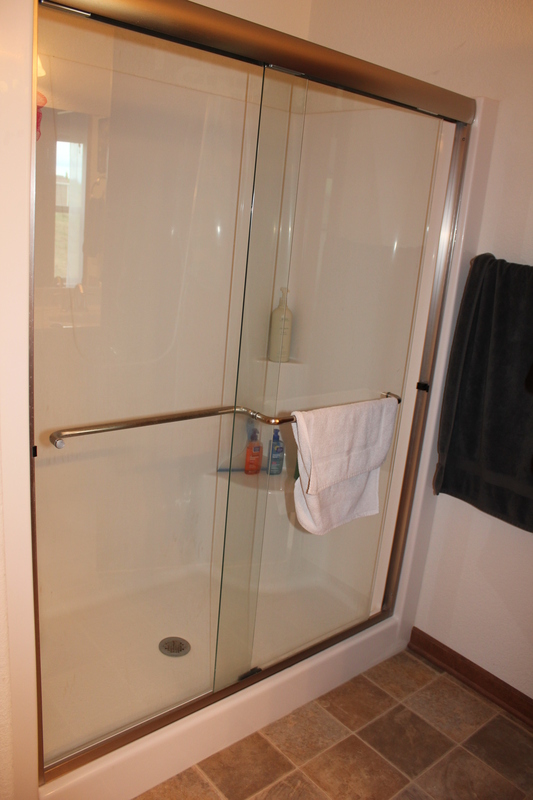 Now we have some added privacy and the bathroom appears neater and cleaner. Win-win! 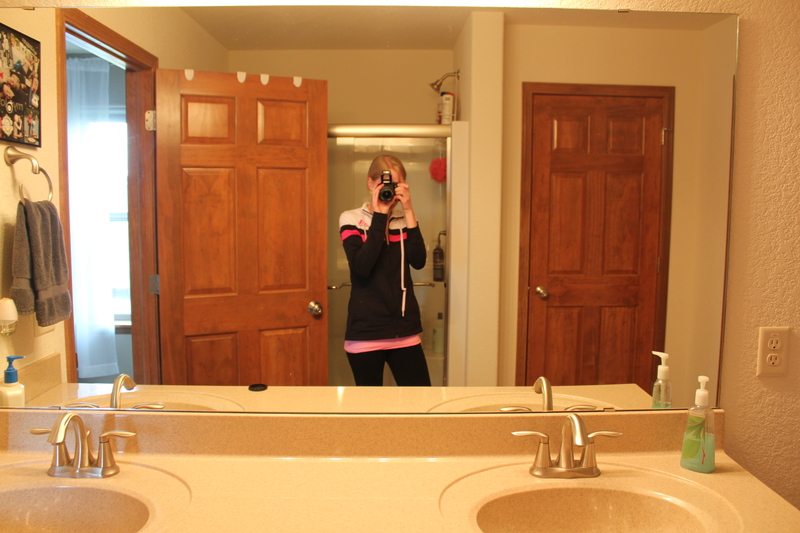 The towel hooks are from Ikea. We had a single hanging bar before, and there wasn’t room for both of our towels. 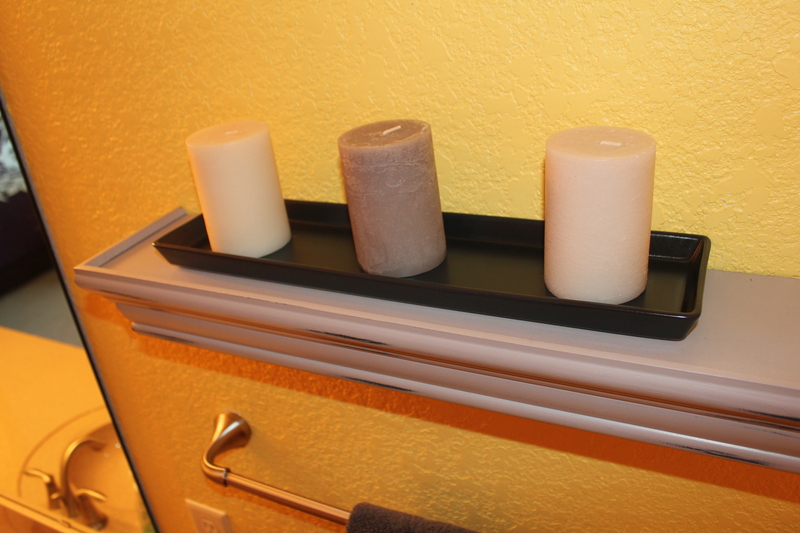 These hooks save space and still allow for the towels to fully dry. 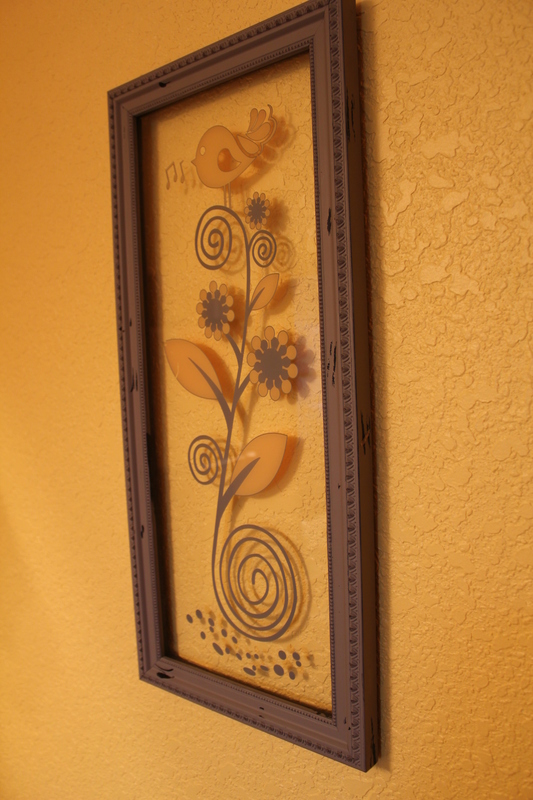 This framed picture is from Hobby Lobby. I love that you can see the wall through it, bringing in even more yellow to the picture. The grey shelf is also from Hobby Lobby. The candle dish (yes, this is the same dish I also used to hold our perfume and cologne in our linen closet) and the candles are from Ikea. 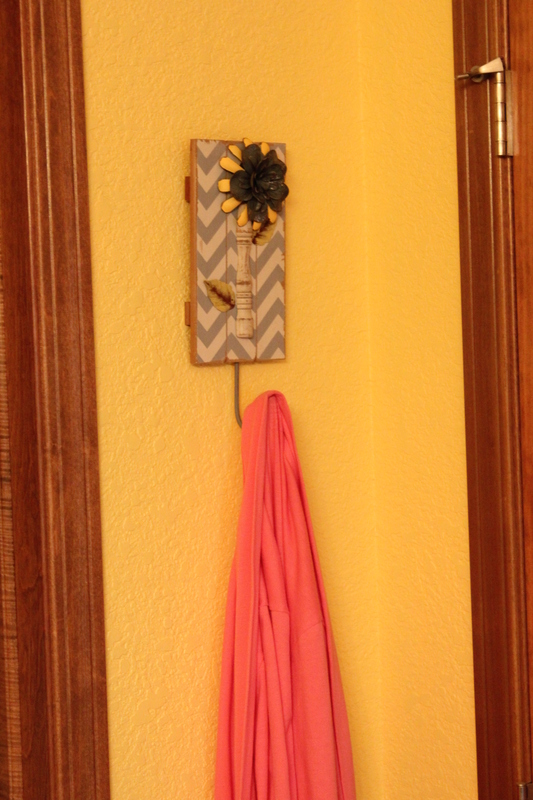 This hook is another Hobby Lobby find. Grey and yellow are a trendy color combination right now, and Hobby Lobby had a whole collection of things in these color palettes when we began this project! Plus, I love Hobby Lobby, and can usually find something that will work. 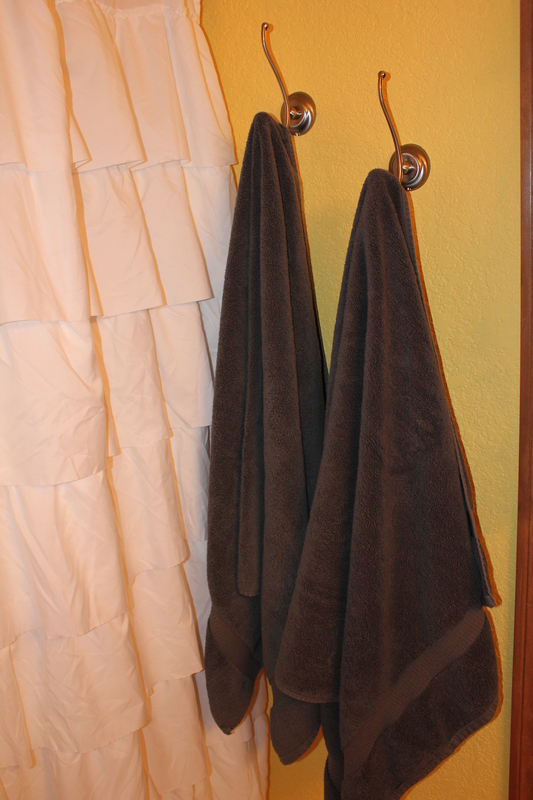 Having a spot to hang a robe makes good use of space in the bathroom that would otherwise remain un-used and saves space in the closet. Phew. And we’re done! I have some posts to write about some DIY décor I made for our bedroom, so that’s next on the list.